It works incredibly well in any type of gardening system including Rockwool, aeroponics, coco and soil. Connoisseur boosts yields while also increasing the resiliency and stress handling ability of your plants. By strengthening the plant cell wall both internally and externally, Connoisseur makes the plant pest and disease resistant and better able to withstand environmental stress. Your valuable plants will be better able to survive extreme conditions so you get bigger harvests. Connoisseur contains exclusive ingredients including amino acids, metabolism co-factors and the most easily absorbed forms of all bloom phase nutrients that make your harvests bigger and better than they’ve ever grown before. 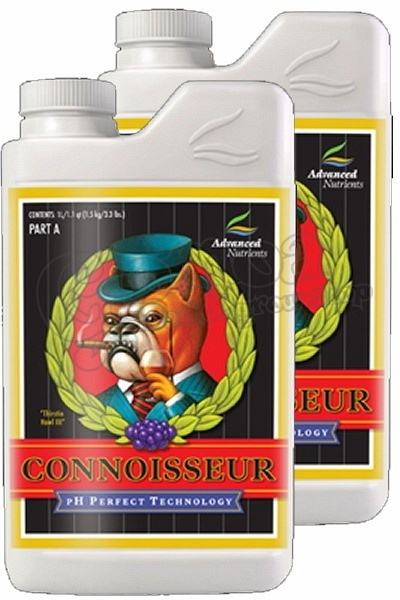 Though Connoisseur contains everything your plants need for bloom phase growth and huge harvest production, when you combine Connoisseur with bloom phase additives such as Big Bud and CarboLoad you get even larger and higher quality yields than when using Connoisseur by itself.